The world of work is changing, with many industries in transition and others facing a drastic skills shortage. We need to consider the impacts on the long-term unemployed, particularly with rising long-term youth unemployment and an ageing workforce. At SVA we know that by bringing together specialists, leaders and influencers from different sectors to collaborate, we can gain broader insights into what works and develop new ideas to influence a brighter future for people who are disadvantaged in the labour market. 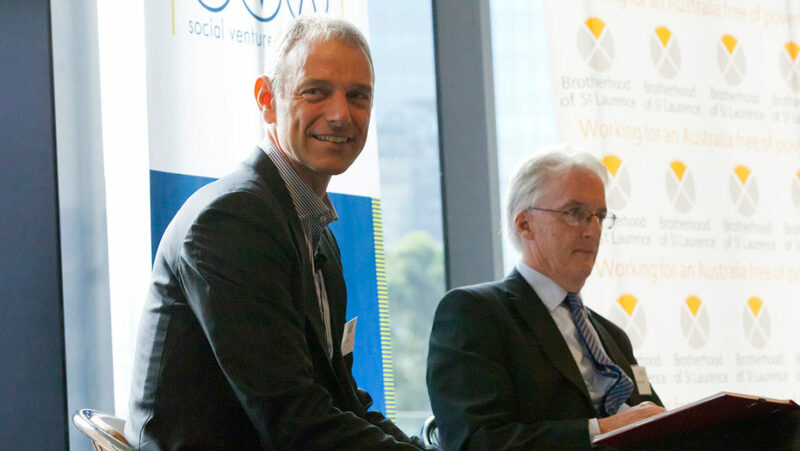 Over the last 18 months SVA, in partnership with Mission Australia and the Brotherhood of St Laurence, has hosted three key events that have contributed to the conversation on tackling long-term unemployment. 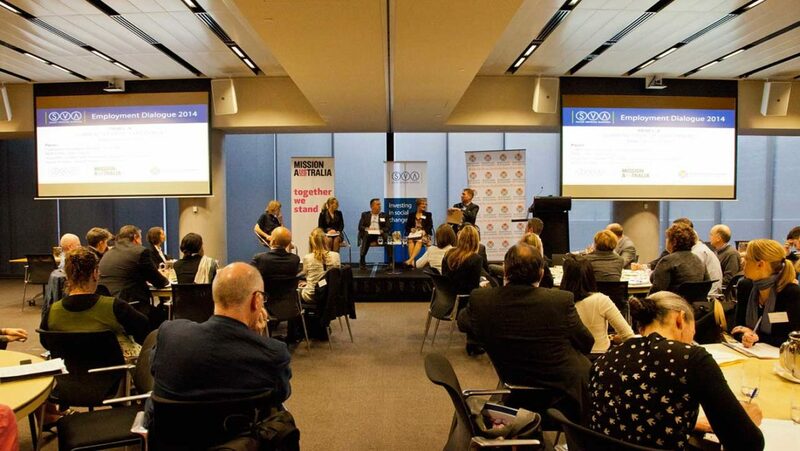 The inaugural SVA Employment Dialogue held in February 2013 emphasised how employer engagement can provide solutions to long-term unemployment in Australia. This was followed by an intimate dinner in February 2014 with Senator, The Hon. Eric Abetz, Minister for Employment, and senior corporate, non-profit and philanthropic leaders who provided compelling and interesting reflections on tackling long-term unemployment in Australia. On Thursday 5 June at ANZ’s headquarters in Melbourne, leaders from the corporate, government, employment services and non-profit sectors came together for the SVA Employment Dialogue 2014 to share experiences and insights on tackling long-term unemployment particularly as industries transition and the job market evolves into the future. 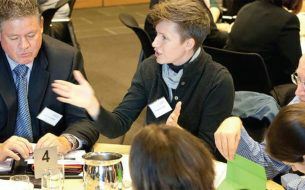 We were encouraged by the great consensus across sectors on what some of solutions are and were grateful for the energy and commitment participants invested in the day. Learn more about the SVA Employment Dialogue here, which in partnership with Mission Australia and the Brotherhood of St Laurence, sought the experience and insight of key leaders across the sectors focused on what innovation is required to combat long-term unemployment as industries change and the job market continues to evolve. Download the SVA Employment Dialogue 2014 Communique (PDF, 760 MB), which presents six principles that emerged from the day and which we consider critical to designing a sustainable system for the future. Expand the Resources section below to watch videos of participants’ big ideas for tackling long-term unemployment, use and share our infographics. 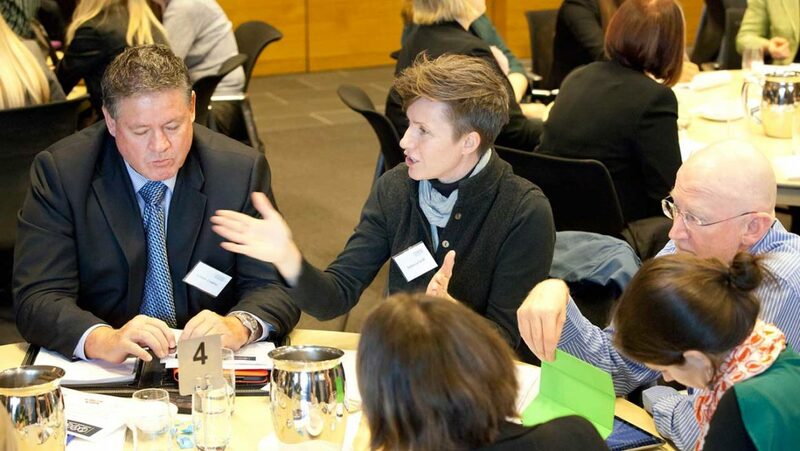 Over the past two years of the SVA Employment Dialogue there has been strong acknowledgment among participants that school-to-work transitions, earlier career guidance, demand-led employment strategies and social enterprise are key to curbing the rise of unemployment in Australia. Our work with venture partners, research into youth unemployment, and projects including Beyond the Classroom and the Industry Employment Initiative will continue this important work. For further information on the SVA Employment Dialogue 2014, please contact Kevin Robbie or Louise Caseley. 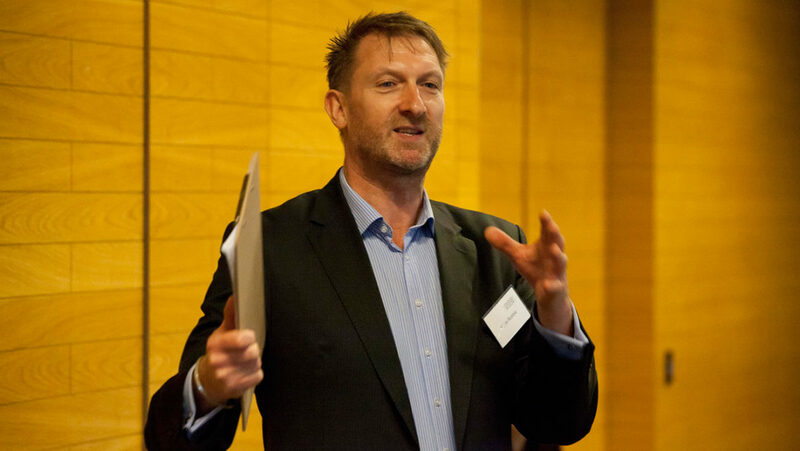 Kevin Robbie recently travelled to Seoul for the 2014 Social Enterprise World Forum, the first time the event took place in Asia.